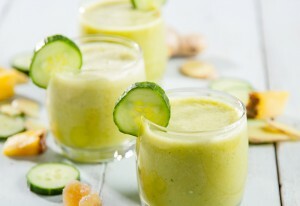 Recover immediately after your workout with this delicious post-workout smoothie. Each sip has a 4-to-1 ratio of carbs-to-protein to replenish muscle glycogen, and fresh turmeric and pineapple for antioxidant support. Enjoy within 20 minutes post-workout.